TKB Associates, Inc. is dedicated to providing the best possible solutions for our clients. This begins by performing a needs analysis with you to determine what products best meet your needs, all along keeping your budget in mind. Ultimately, we will offer a comprehensive system design and plan that encompasses your entire Electronic Document Management Systems (EDMS) needs. TKB Associates, Inc. will assist in the entire process of creating a turnkey Laserfiche Document Imaging Solution. This includes performing needs analysis, preparing hardware and software requirements, designing a plan for document conversion and storage, creating retention schedules and requirements for back file conversion, and arranging for any off-site services as needed. When you make the decision to work with TKB Associates, Inc., you have chosen a partner who will work with you to accurately access and define your needs, assist you in selecting the right products and services, and most importantly, implement, train and support you once the system is installed. We are dedicated and committed to provide you with the best possible solution to meet your needs! End User Training. This involves teaching end users the mechanics of the system. This training will be conducted at the end users location. Each group of 8 or fewer individuals will receive any instruction necessary to ensure comfort with the new imaging system. 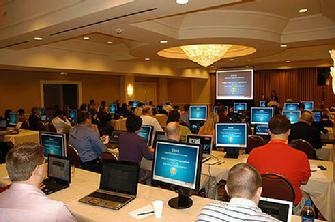 The amount of training necessary will depend on their level of familiarity with Windows applications. Our experience has shown us that most users can become proficient in a short time period, provided that the class size is normally limited to no more than 8 individuals and those participants are free from interruption due to phone calls and other day-to-day business. System Administration Training. 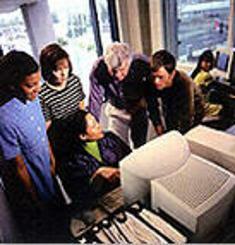 This involves teaching System Administrators the everyday maintenance of the imaging system. This phase of the training is conducted at the end users location. Implementation Consulting. This training is highly recommended. It involves assisting those responsible for the record management functions develop strategies for translating existing paper filing and indexing structures into their electronic form. Electronic filing is different from paper filing, and records managers need to take the differences into account in setting up their systems. It is also normally conducted at the end users location. Supervised Hands-On. This training involves supervision of users using the system in actual operation, where they can pose questions directly to our trainer as they arise. Time for this training is normally one day per group, with the physical layout of the location being the only limitation on group size. <?xml:namespace prefix = o ns = "urn:schemas-microsoft-com:office:office" />TKB Associates, Inc. in conjunction with Laserfiche, sponsors user group meetings. The meetings provide a forum for Laserfiche users to share their experiences and applications of the product. Users also get a chance to provide product feedback directly to Laserfiche. Often times, senior software engineers or technologists participate as well to provide information on new products and development strategies. At a TKB Associates, Inc. user conference you will learn about current document imaging news and information. You will meet people who have found document management solutions. TKB Associates, Inc. hosts their conferences in locations that will allow for learning, networking and recreation too! TKB Associates, Inc. would like to see you at our next user group meeting. Please send us an email and we will send you an invitation containing information on our next user group meeting. In the Subject Line type: "Requesting Invitation to Workshop"
Please include your name, address phone, fax and e-mail information. When the next user group meeting is planned you will receive an invitation. It's that simple! Technical Administrative Instructions. Laserfiche provides an Installation Guide, which will be included with the server software that details the step by step procedures to proper software installation. In addition, a System Administration Guide is included to direct you on the procedural requirements and features of the proposed software. The System Administration Guide is shipped in hardcopy only. However, you could easily create an on-line version by scanning it into The LaserFiche database. User Manuals. Laserfiche provides detailed manuals to accompany the Laserfiche software. These manuals include a Getting Started Manual that details the necessary fundamental for Laserfiche operation. The application software also includes a User�s Guide for the Laserfiche Document Imaging Software and individual guides for each one of the selected software add-ons. The User�s Guide comes as both a paper manual and an on-line Windows Help file that also serves as the context-sensitive help screens used in the program. The content of the electronic and paper documentation is the same. TKB Associates, Inc. provides on-site training to your company as it becomes familiar with the new Laserfiche Document Imaging software program utilized by your company. This support would include the initial project installation, configuration and training, and travel to your location to diagnosis and solving any problems with the proposed solution. With on-site training available, new employees can quickly understand the new data management software programs and add-ons, saving firms valuable time and money in training costs. System renewals are key preventative measures in effectively utilizing electronic document management software. Updates are made as manufacturers find more efficient ways to enhance the usability of existing software programs. Updates and licenses can be downloaded directly from the Laserfiche Support Site. In addition to the information contained in our support pages, Laserfiche users can also search their knowledgebase here.